Between MEND & Federal Government: Which Way Nigeria? 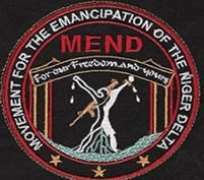 The Movement for the Emancipation, MEND has named a team of mediators to negotiate with the Federal Government over disarmament, adding that the amnesty process lacks integrity. Those who have accepted to liaise with government on behalf of the militant group are Retired Admiral Mike Akhigbe, literary icon Prof. Wole Soyinka, Retired Major General Luke Aprezi and Dr. Sabella Abidde. A statement issued by MEND says that the Federal Government so far has not shown willingness to dialogue and that the disarmament process will only come after the root causes of militancy and agitation in the Niger Delta have been addressed by the Nigerian government. The militant group has also nominated Mrs. Annkio Briggs to liaise on behalf of the group with those who have volunteered. For clarity and particularly in the interest of those who do not know, Movement for the Emancipation of the Niger Delta (MEND) is one of the largest militant groups in the Niger Delta region of Nigeria. The organization alleges gross exploitation and oppression of the people of the Niger Delta and devastation of the natural environment by the Federal Government of Nigeria and foreign multinational corporations involved in the extraction of oil in the Niger Delta. MEND has been linked to attacks on foreign-owned petroleum companies in Nigeria as part of the conflict in the Niger Delta. In a January 2006 email, MEND warned the oil industry, "It must be clear that the Nigerian government cannot protect your workers or assets. Leave our land while you can or die in it…Our aim is to totally destroy the capacity of the Nigerian government to export oil." Additionally MEND has called upon President Olusegun Obasanjo to free two jailed ethnic Ijaw leaders — Mujahid Dokubo-Asari, who is jailed and charged with treason, and Diepreye Alamieyeseigha, a former governor of Bayelsa State charged with corruption. Obasanjo's successor, President Umaru Musa Yar'Adua authorised the release of Dokubo-Asari and Alamieyeseigha in 2007. Recently Henry Okah enjoyed similar pardon from the administration of President Yar'Adua. For the roughly fifty years since Nigeria declared independence from British colonial rule, oil has been produced in Nigeria. Throughout this period, corporate politics has intersected with successive dictatorships. Under these dictatorships the Nigerian government has signed laws that appropriated oil resources and placed these under the control of multinational oil companies, such as Chevron Corporation and most notoriously, Royal Dutch Shell. From the point of view of MEND, and its supporters, the people of the Niger Delta have suffered an unprecedented degradation of their environment due to unchecked pollution produced by the oil industry. As a result of this policy of dispossessing people from their lands in favor of foreign oil interests, within a single generation, many now have no ability to fish or farm. People living in the Niger Delta have found themselves in a situation where their government and the international oil companies own all the oil under their feet, the revenues of which are rarely seen by the people who are suffering from the consequences of it. Kenneth Roth, Executive Director of Human Rights Watch, has said of the situation, "The oil companies can't pretend they don't know what's happening all around them. The Nigerian government obviously has the primary responsibility to stop human rights abuse. But the oil companies are directly benefiting from these crude attempts to suppress dissent, and that means they have a duty to try and stop it. "Eghare W.O. Ojhogar, chief of the Ugborodo community, said: "It is like paradise and hell. They have everything. We have nothing... If we protest, they send soldiers." Over the last twenty years various political movements and activists have emerged in opposition to the perceived injustices perpetrated upon the people of the Niger Delta by the government and the oil companies. These were usually nonviolent; Ken Saro-Wiwa was the most famous activist. Saro-Wiwa was an Ogoni poet-turned-activist who was executed by the Nigerian government in 1995 on what many believe to be deliberately false charges with the aim of silencing his vocal opposition to the oil interests in Nigeria. In Saro-Wiwa's footsteps came others who, having seen the government's reaction to nonviolent activism, advocated violence as resistance to what they regarded as the enslavement of their people. Militants in the Delta enjoy widespread support among the region's approximately 20 million people, most of whom live in poverty despite the enormous wealth generated in the oil-rich region. MEND's attacks involve substantially more sophisticated tactics than those of previous militant groups in the Niger Delta. MEND's recent tactics have included: Swarm-based maneuvers: guerrillas are using speed boats in the Niger Delta's swamps to quickly attack targets in succession. Multiple, highly maneuverable units have kept the government and Shell's defensive systems off-balance defending their sprawling networks. Effective use of system disruption: targets have been systematically and accurately selected to completely shut down production and delay and/or halt repairs, and the guerrillas are making effective use of Shell's hostages to coerce both the government and the multinational. The militants have repeatedly bombed pipelines, triggering an international increase in the cost of oil. They have also kidnapped foreign oil workers. However, MEND ceasefire resolution is still on, since the introduction of amnesty deal by President Yar'Adua administration. While a few of the militants have accepted the amnesty offer made available by the Federal government, the rest of them are still in the creeks considering the amnesty deal a charade. Those that have surrendered arms often took to streets to protest nonpayment of daily allowances and hotel accommodation fees. October 4, 2009 remains valid as deadline for disarmament by Niger Delta militants; whether any meaningful or purposeful results will come out of this date, (even in the euphoria of Nigeria's 49th independent anniversary) in the interest of Nigerians and friends of Nigeria, only time will tell.